Hail and wind storms are quite common in the Dallas area. They can be quick, strong and scary, leaving behind untold damage once they’ve gone. Frequently, tornado warnings and severe thunderstorm watches accompany these storms. As a result, your roof could suffer damage from the hail, wind and driving rain, not to mention flying debris and tree limbs. 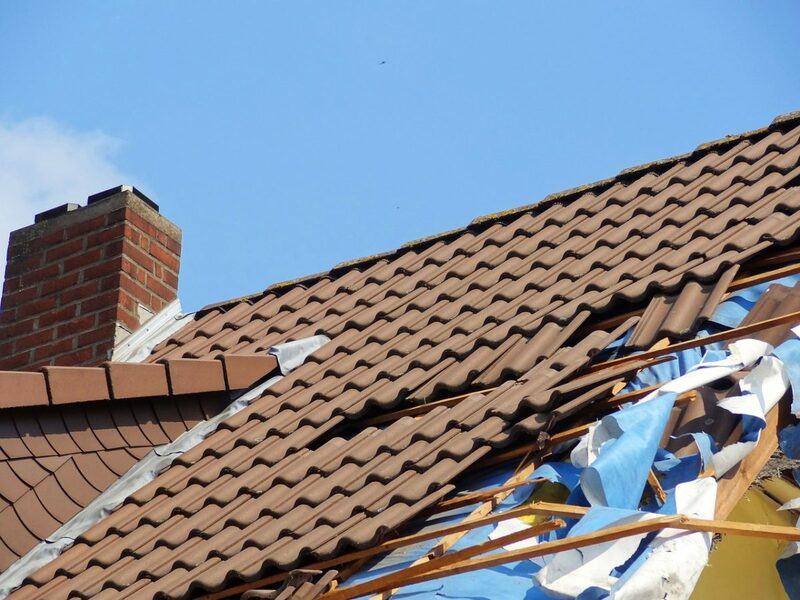 If a strong storm has left your roof with damage such as missing shingles, holes, leaks and punctures, you’ll have to contact your insurance company to report the incident so you can get compensated through your homeowner’s insurance. Sounds simple on the surface, right? This process can be a headache, with time consuming paperwork, filing deadlines, endless phone calls and lots of documentation. You want to be sure you’re compensated properly so you can hire a roofer to repair the issue in a timely manner. All too often, homeowners get shortchanged by their insurance companies because they lack the experience and patience to see the issue through to the end. Without a qualified roofer on your side to help you file your claims with the insurance company, you could get lost in the shuffle. Here are some of the typical steps involved in filing a claim and getting the necessary roofing work completed. Within 24 hours of the storm and resulting damage, it’s important to contact your insurance agent first to go over your coverage and determine what your carrier requires. Then, you’ll be referred to your insurance company’s claims department, where you will explain in detail what happened. The adjuster will provide guidance on what to do next. The amount you will be responsible for and how much the insurance company pays will depend on the type of policy you have. Often times, you are responsible for paying the deductible, which is sometimes more than the total claim amount. In this case, your insurance company would not pay a dime. You could, of course, contest their assessment and secure legal representation if you think your case was not handled fairly. Neglecting the need for repair can lead to even costlier problems down the road. So, even if you disagree with the insurance company on a fair amount, you should go ahead and get the work done anyway. If you want, you can hold onto the check from the insurance company until you resolve the monetary dispute. Depositing the check signals that you accept their offer. Now it’s time to call around and do your comparison research. A good rule of thumb is to get three estimates from established roofers in order to ensure the best value for your investment. This will give you a better idea of the scope of the damage and what a reasonable cost would be. When you’re armed with a bunch of estimates, you can take the insurance company’s offer and better compare it. Now you have something to go off of. If your insurance company’s offer is still way too low, counter offer until you reach an agreement. Work with your roofer on an acceptable estimate. Here at Ferris Roofing, we can assist you in the process by providing an inspection and helping you handle your insurance claim, all at no cost. Contact us today at 817-769-2477 to schedule your appointment for an estimate.